The National Sheriffs’ Association (NSA) is making their opposition to California’s new official sanctuary policies known. They recently attacked the leftwing law, stating in no uncertain terms that sanctuary policies made everyone less safe. National Sheriffs’ Association Executive Director and CEO issued the following statement in response to Governor Brown signing into law California’s Sanctuary State legislation. The National Sheriffs’ Association (NSA) is not some fly-by-night organization. They are one of the largest associations of law enforcement professionals in the United States, and they represent more than 3,000 elected sheriffs across the country, and have a total membership of more than 20,000 law enforcement professionals. 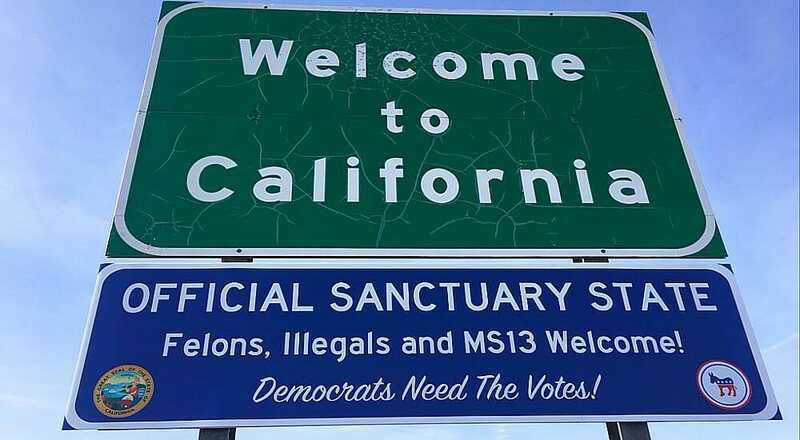 California is putting the lives of their citizens in danger with their sanctuary policies, and voters there should be very angry. The new law prohibits California police from participating in federal immigration enforcement efforts or inquiring about a person’s immigration status. These new rules will make it harder for law enforcement to do their jobs and will allow criminals to walk away from police scot free. It’s a dangerous precedent and it’s only happening because of the ugly partisanship on the left.